Pastiche Steel Ensemble is a diverse group of pannists and musicians hailing from different countries around the world. This ensemble transcends stereotypes surrounding the limitations of the steelpan while breaking boundaries of steelpan performance with original compositions, arrangements, and familiar music. The ensemble was created in 2009 by graduate music students of Northern Illinois University (NIU) to expose the uniqueness of the steelpan through performances, clinics, and educational seminars. Pastiche has been a long time coming since its members have performed together in varying capacities and studied together for several years at NIU under steelpan virtuoso Liam Teague and steelpan pioneer Cliff Alexis. This ensemble has seen many different members over the years and as a result provides a unique environment for musical creativity. While this group focuses on steelpan and percussion, the musicians enjoy featuring pieces that offer collaborations with other instruments. Concerts consistently feature original compositions and arrangements for steelpan that take the instrument to a new level of artistic respectability and musical innovation. While they are always ready to get a crowd moving with a calypso or soca, Pastiche does not hesitate to expose the variety of musical styles capable of being performed on the steelpan. Although these musicians are focused on the future of steelpan, they are dedicated to educating audiences about the history and culture of this very young art form. Pastiche Steel has performed at many high ranking events including the Illinois Percussive Arts Society Day of Percussion in 2013 and the annual Generations of Steel concerts held at Waubonsee Community College. In addition, the ensemble has had a residency with the Chicago Youth Symphony Orchestra's Music Pathways Program that featured five in-school education concerts. Pastiche Steel was also a part of the Urban Gateways Touring Artist team, where its members traveled to different schools around the Chicagoland area allowing the children to engage in the rhythms of the Caribbean and learn about the history and development of the steelpan from its roots in Trinidad and Tobago to an internationally recognized instrument. Traveling to several different continents through different musical genres, students learned about the versatility of the steelpan and the indigenous music of cultures around the world. Demonstrations about the tuning and building of a steelpan gave students an idea about the inspiration and grass roots science involved in the developing of this instrument from a discarded oil barrel or steel drum to a chromatically tuned instrument. Pastiche Steel Ensemble was recently selected to host their own show at the first ever International Conference and Panorama held in Port of Spain, Trinidad in August 2015. This performance not only featured Pastiche Steel Ensemble, but it also showcased and premiered Pastiche’s production of the Virtual Steelband, an internet based steelband performance comprising members from several countries around the world. The show received rave reviews and sparked interest in a Pastiche tour of the United States, which is scheduled for October 2016. With future projects like the second Virtual Steelband, Pastiche Steel Ensemble continues to be an innovator in the world of steelpan and music. ​Originally from Japan, Yuko is a multitalented pannist who has played various steelpans in multiple steelbands in the United States and Trinidad, has extensive experience directing and arranging music for middle/high school steelbands, is one of the leading transcribers of Trinidadian steelband arrangements, is also an apprentice of the legendary Cliff Alexis on steelpan building and tuning, and has presented at conferences in the U.S. and Trinidad. She currently teaches Northern Illinois University Community Steeland, works on panorama transcriptions, and builds and tunes steelpans. Abe started playing the steelpan at age 18 at a community college steelband. He received a Bachelor’s of Music degree and a Master’s of Music degree at Northern Illinois University (NIU) studying under Liam Teague and Cliff Alexis. Abe has participated in the 2000 World Steelband Festival in Trinidad and the 2002 Seoul Drum Festival in Seoul, South Korea while a student at NIU. He has composed and arranged for steelpan and other instruments, and has appeared as a guest artist at Harper Community College. Jonny Gifford is currently finishing his percussion performance degree at Northern Illinois University (NIU). 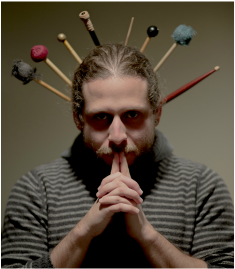 He has played with various ensembles at NIU, such as the NIU Steelband, Philharmonic, Percussion Ensemble, and the Afro Cuban Folkloric Ensemble. Jonny also teaches privately, and performs around Northern Illinois/Chicago with groups such as the Ethan Bell Band, Pastiche Steel Ensemble, and others. Scott is a dynamic steelpan performer, percussionist, and sound engineer. He has performed with various steelbands in the United States, Trinidad, and St. Vincent. 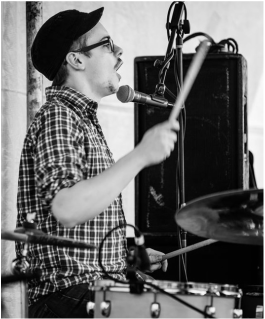 As a sound engineer, he has traveled to many cities in the United States and Europe, working closely with Third Coast Percussion. Scott currently directs steelbands in Chicago and performs with Orange Star, a Chicagoland based rock band. Yuki Nakano has dedicated her life to the development of music in her home country of Japan where she has performed with various ensembles and steelbands. Yuki received a bachelor’s degree in Percussion Studies at Senzoku Gakuen College in Japan, where she was offered the opportunity to learn the steel pan. 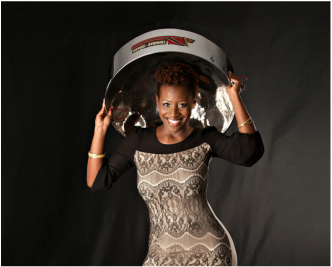 She has participated in various steelband competitions throughout the world including Trinidad and Tobago, Canada, St. Vincent, and the U.S.A. In 2014, Yuki received a performer’s certificate in steelpan performance at Northern Illinois University (NIU). She currently resides in Japan where she actively performs in Panorama Steel Orchestra and as a solo artist. performed with steelbands in Trinidad, Canada, and the United States. He teaches privately and at Oswego High School, and actively performs with Paa Kow Band (Denver), Pastiche Steel Ensemble, the Jazz Trials Quartet, and many other projects in the Chicagoland area.